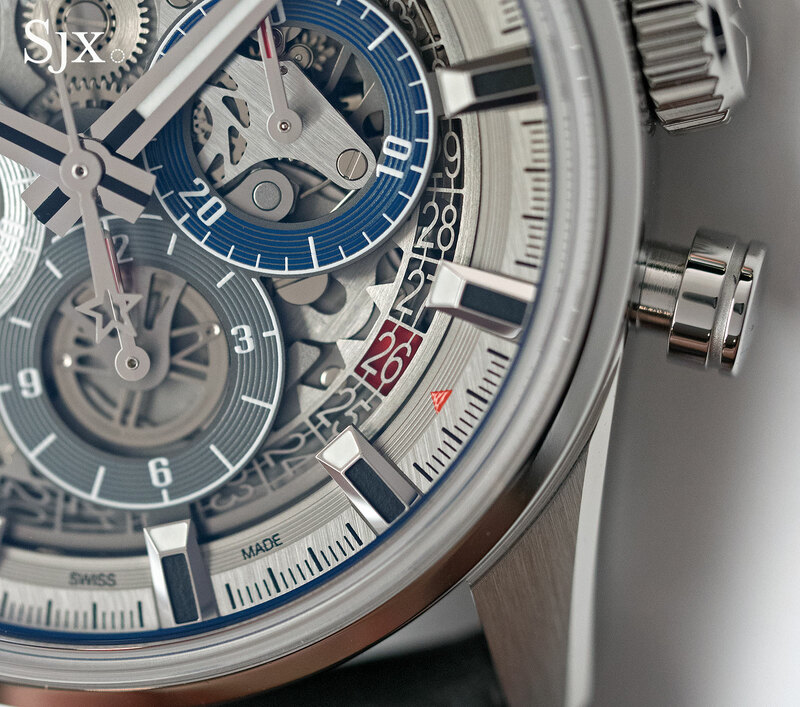 The classic chronograph with a skeleton dial, in both 42mm and a retro 38mm size. Like the Patek Philippe Calatrava ref. 6006G featured yesterday, the Zenith Chronomaster El Primero Full Open was another under the radar introduction at Baselworld 2017. 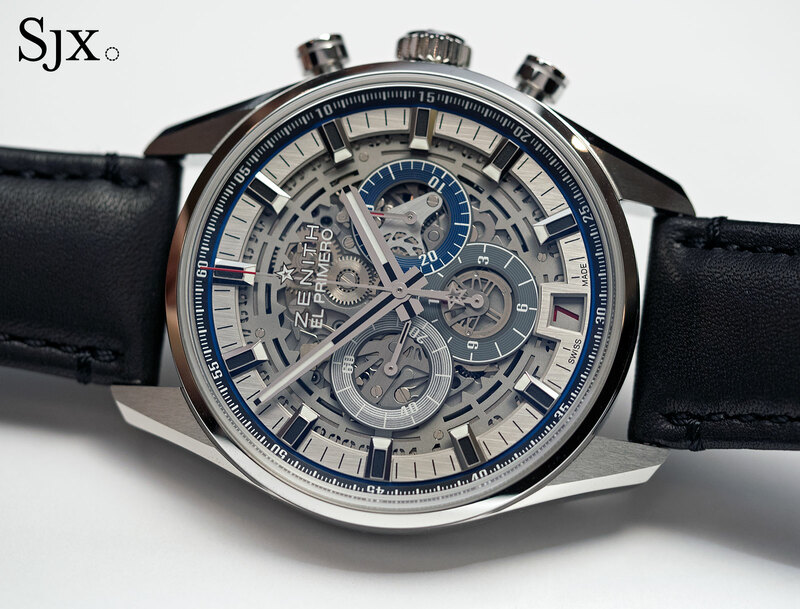 Not in the Zenith press kit or website, the El Primero Full Open is a skeleton dial version of the retro El Primero. And it’s available in both the largish 42mm case, as well as a 38mm size that feels almost like a vintage watch, being the same size as the original El Primero A386 of 1969. 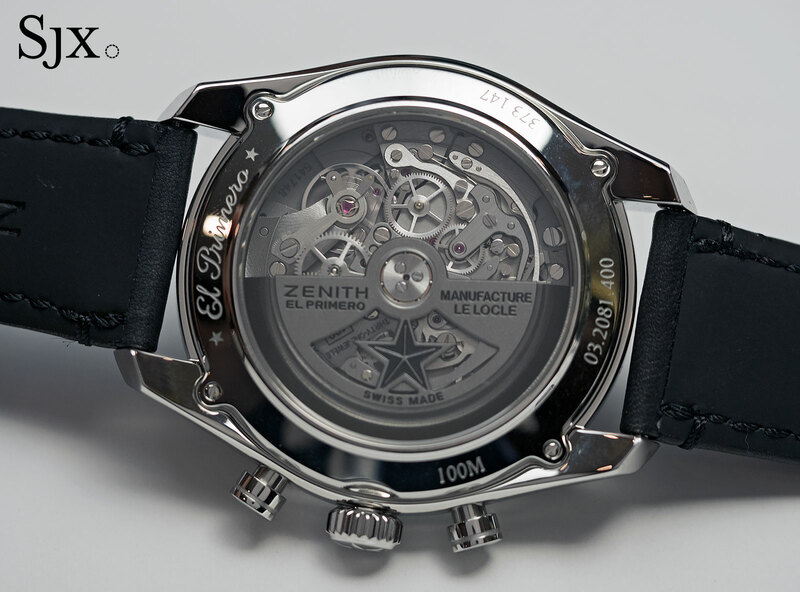 The El Primero Full Open has no dial, exposing all the mechanics usually hidden. 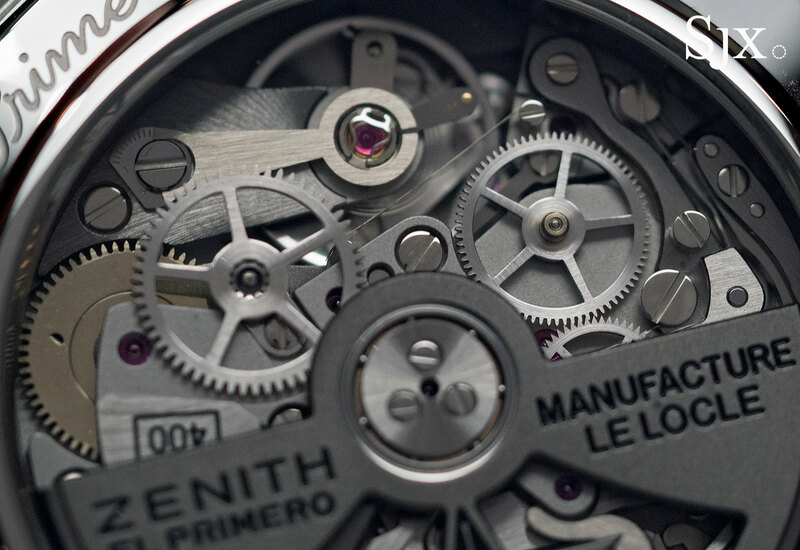 This reveals bits of the chronograph mechanism, as well as the open-worked date wheel. 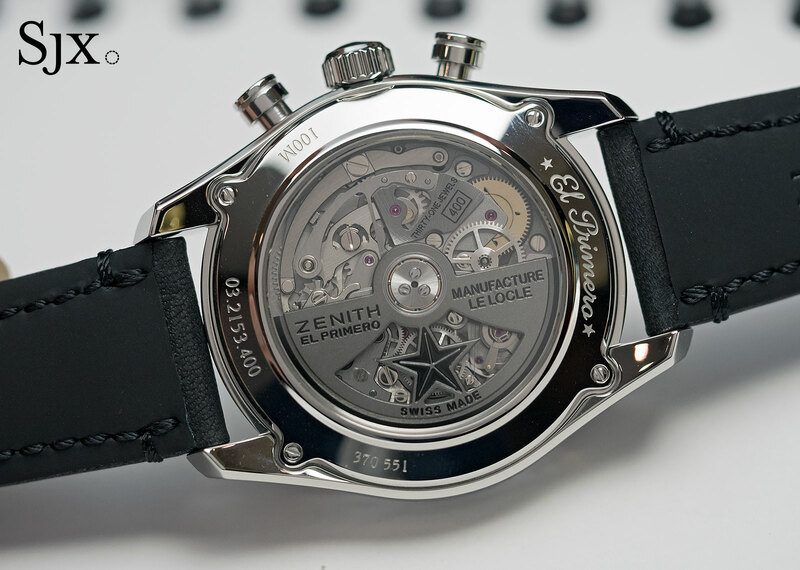 While not new – the open dial movement was also used for the El Primero Lightweight – it’s the first time this look is found on a relatively affordable Zenith chronograph. 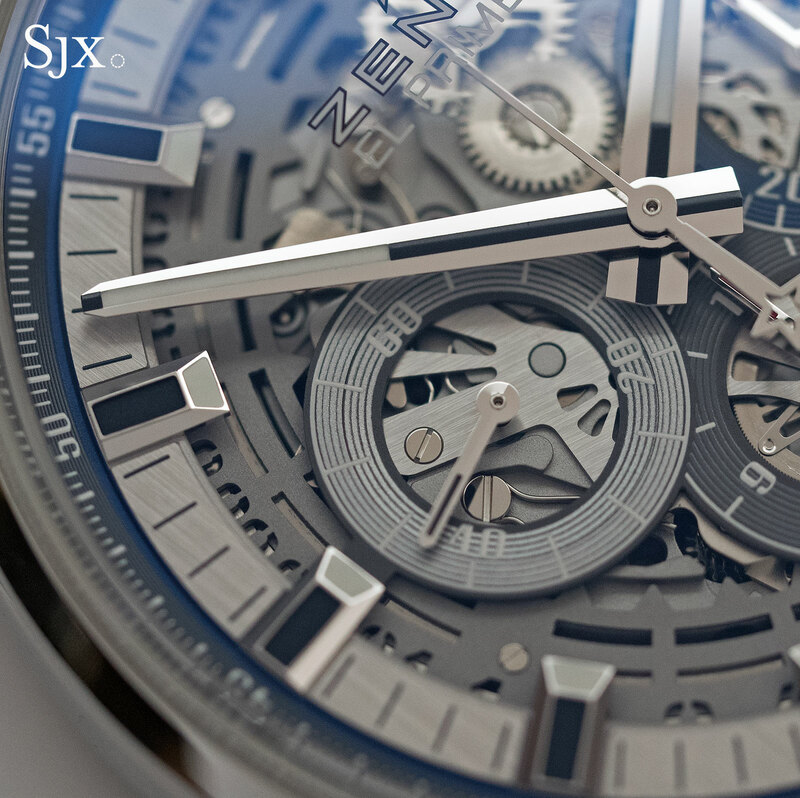 Notably, the movements inside the 42mm and 38mm versions are slightly different. 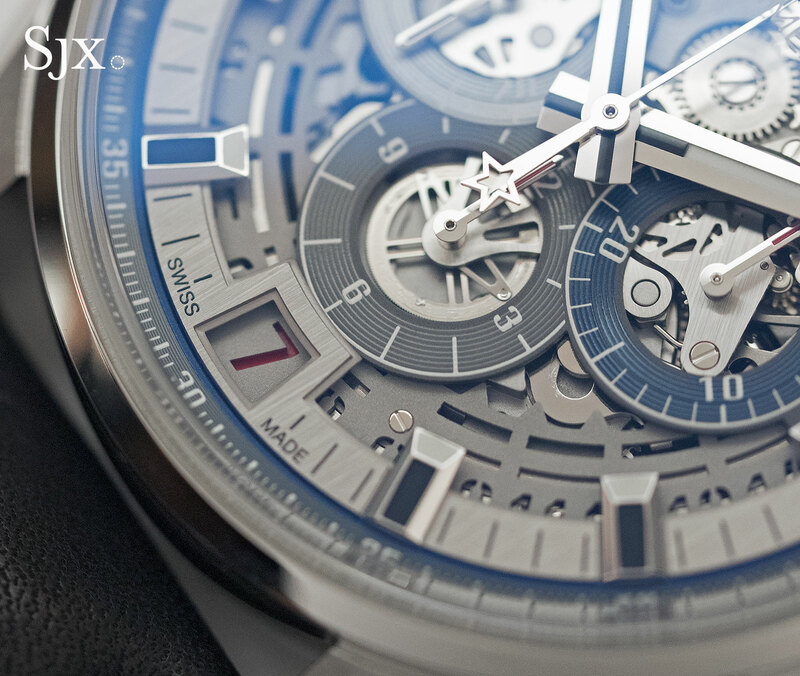 The larger watch has a slightly larger date wheel to maintain the proportions. 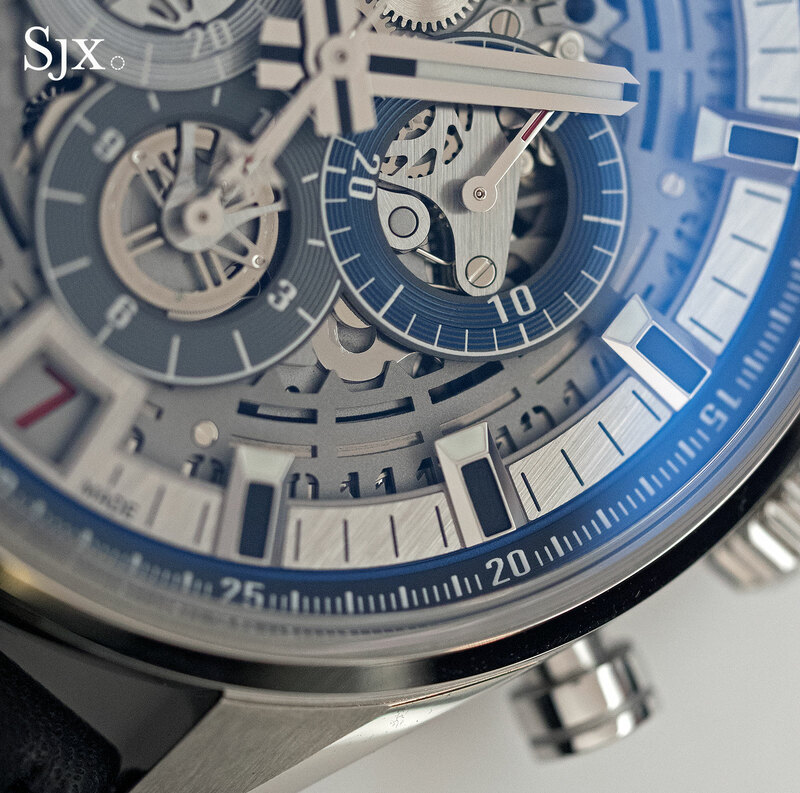 Notably, the skeleton date wheel on the 38mm has a more refined look, having thinner numerals. 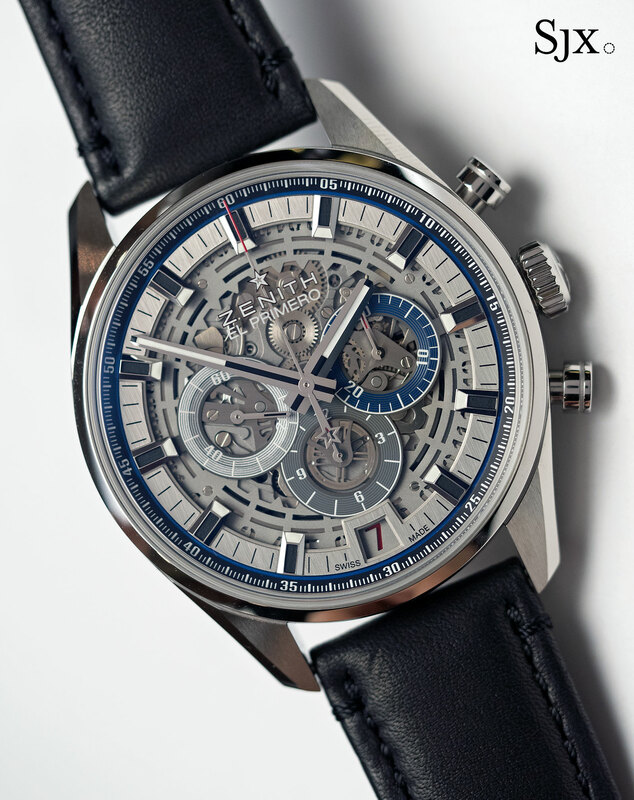 The smaller case size, known as the El Primero Original, is more visually interesting because of the smaller dial, which gives it a more mechanically dense appearance. It is, however, somewhat small by modern standards, and let down by an oversized Zenith logo that’s as large as it is on the 42mm model. But the 38mm is appealing because it’s an unusual combination: the open dial is reminiscent of modern-ish sports watches from the likes of TAG Heuer, while the case size and style feel like a vintage reissue. Most of the differences between the two are cosmetic. 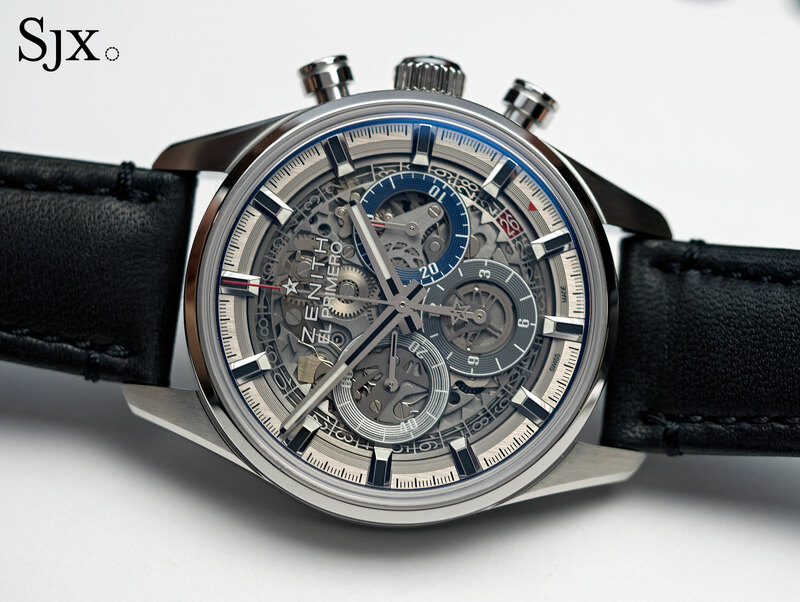 Both versions are equipped with the El Primero 400, the self-winding chronograph movement that runs at 36,000bph that’s been in production since 1969. 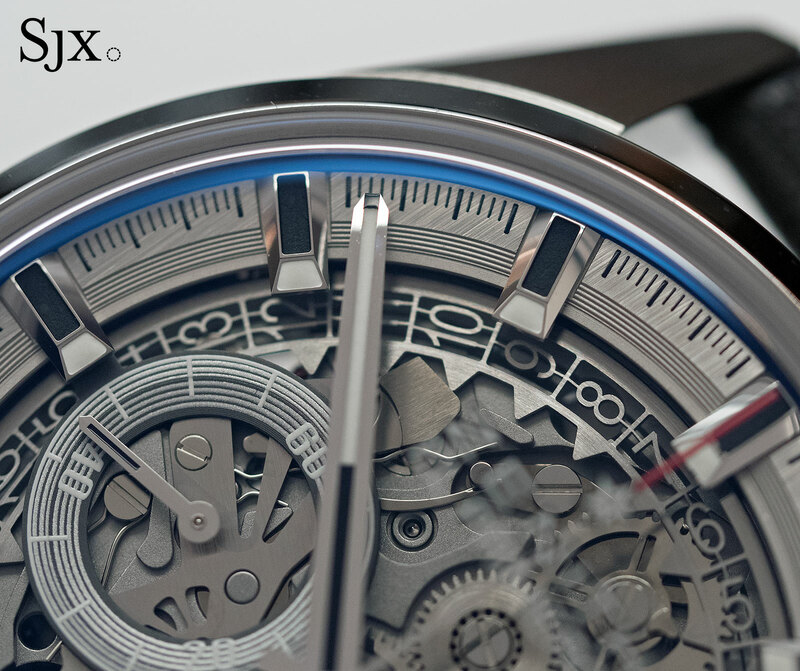 Most of the movement has a dark grey galvanic finish with straight graining, giving it a workmanlike appearance. The steel models are priced at SFr9900 or S$15,000, while the version with gold bezels are SFr10,900 or S$16,500. They will be available in stores starting June 2017.